Have you ever spent hours ironing bias seam binding with burnt fingers too!? 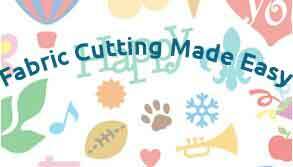 If you like to make your own bias tape, and most quilters do, then the Simplicity Bias Tape Machine claims to makes the job easier and speed up the process. The Simplicity Bias Tape Machine works on a fairly simple principle; firstly your fabric strip gets wound around a roller. It goes through whichever size of tip you’ve chosen and then is fed through the machine over the hot plate. The Simplicity video below shows how to use the bias tape machine. Create customized bias tape quickly and easily. Lightweight and portable, great for carrying to classes and groups. 1″ wide single fold bias tape can be made with the push of a button. 3/8-inch, 1/2-inch, 3/4-inch,1-1/4-inch ; 2-1/4-inch and2-1/2-inch single fold quilt binding bias tips available. Similar settings to an iron and suitable for most light-weight fabrics. Gives a professional finish to the edges of garments and projects by matching the bias to the main fabric. Automatic shut off after 10 minutes of not being used. Easily changed tips, just snap into place. The Simplicity Bias Tape Machine machine creates bias binding tape quickly and with a nice crisp fold. The auto off feature is a good addition, it’s easy to forget to switch things off when you’re focused on a project. I like the portability and the built-in handle, ideal for taking to classes and groups. It’s simple to set up and use. and more cost effective than buying ready-made bias tape. It doesn’t work so well using the smaller tips; the fabric just comes through still flat, albeit well ironed. A roller at the outlet end would have been useful. There’s not quite such a crisp finish on the heavier weight fabric. 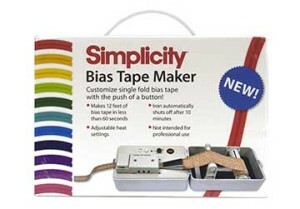 The Simplicity Bias Tape Machine is a nifty little machine which will make short work of most of your bias tape needs. It could have been priced a little more competitively but you still make a huge saving in the long term by not having to buy. It could have been priced a little more competitively but you still make a huge saving in the long term by not having to buy ready-made tape. 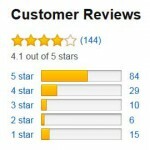 It gets 4 out of 5 stars from Amazon and most negative comments were about the smaller tip. Ready to speed up your bias tape making? the Simplicity tape maker sounds like a fabulous machine. Thanks for checking it out. 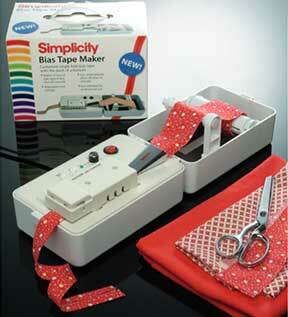 Thanks Angela, I think the Simplicity Bias Tape Machine is one of those gadgets every quilter should have! Cool machine! I can see so many uses for this bias tape machine! The Simplicity sounds like a wonderful machine. It makes work a lot more easier and significantly saves a lot of time too! Hi, I’m’ going to tell my wife about the Simplicity Bias Tape Machine, She will love it. Thanks for the great information. The Simplicity tape machine is such a great size! Easy to take with you when you are having group sewing gatherings and saves you so much time. It pays for itself and the video shows just how easy it is to use. Love it!